1814 – Francis Scott Key wrote a poem which was later set to music and in 1931 became America’s national anthem, The Star-Spangled Banner. The poem, originally titled The Defence of Fort McHenry, was written after Key, an American lawyer and amateur poet being held by the British on a truce ship in the Patapsco River, witnessed the Maryland fort being bombarded by the British during the War of 1812. The flag was flown over the fort when 5,000 British soldiers and a fleet of 19 ships attacked Baltimore on September 12, 1814. The bombardment turned to Fort McHenry on the evening of September 13, and continuous shelling occurred for 25 hours under heavy rain. When the British ships were unable to pass the fort and penetrate the harbor, the attack was ended, and on the morning of September 14, when the battered flag still flew above the ramparts, it was clear that Fort McHenry remained in American hands. This revelation was famously captured in poetry by Key. 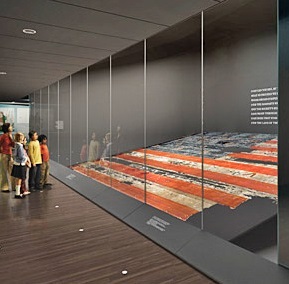 The flag is on display (shown above) at the National Museum of American History in Washington, DC. 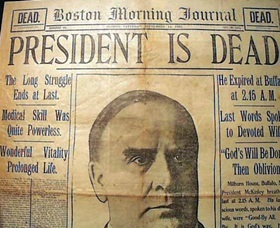 1901 – President William McKinley died eight days after being shot by Leon Czolgosz, a deranged anarchist, during the Pan-American Exposition in Buffalo, New York. Czolgosz had shot McKinley twice at close range. One bullet deflected off a suit button, but the other entered his stomach, passed through the kidneys, and lodged in his back. When he was operated on, doctors failed to find the bullet, and gangrene soon spread throughout his body. Czolgosz was convicted of murder and executed on October 29, 1901. 1944 – The U.S. 1st Marine Division landed on the island of Peleliu, one of the Palau Islands in the Pacific, as part of a larger operation to provide support for Gen. Douglas MacArthur, who was preparing to invade the Philippines. The cost in American lives would prove historic. 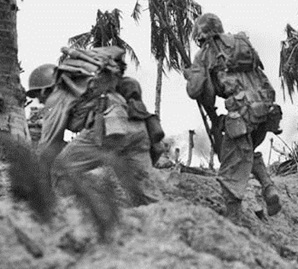 Within one week of the invasion, the Marines lost 4,000 men. By the time it was all over, that number would surpass 9,000. The Japanese lost more than 13,000 men. Flamethrowers and bombs finally subdued the island for the Americans. In the end, MacArthur invaded the Philippines without need of Army or Marine protection from Peleliu so the loss of American lives proved pointless. 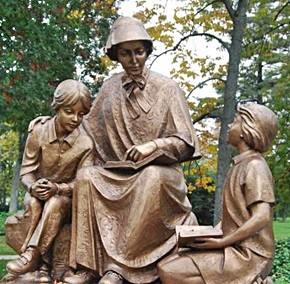 1975 – Elizabeth Ann Seton – founder of the United States’ first religious order (The Sisters of Charity of St. Joseph) was canonized by Pope Paul VI at the Vatican in Rome, becoming the first American-born Catholic saint. 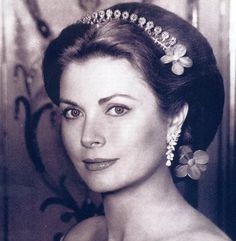 1982 – Princess Grace of Monaco died at the age of 52 from injuries suffered after her car plunged off a mountain road near Monte Carlo. The American-born former film star Grace Kelly, her movie credits included Rear Window, To Catch A Thief, Dial M For Murder and The Country Girl, which won her a Best Actress Academy Award. 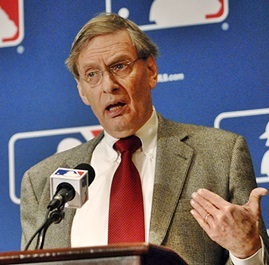 1994 – Following a four-week strike by Major League baseball players, commissioner Bud Selig called off the rest of the 1994 baseball season, including the World Series. Selig acknowledged that the strike had torn an irreparable hole in the game’s fabric. The move to cancel the rest of the season meant the loss of $580 million in ownership revenue and $230 million in player salaries. 2001 – Within minutes of the September 11 attacks, the Federal Bureau of Investigation had opened the largest FBI investigation in United States history. On this date, just three days after the hijacking of American Airlines Flight 11, United Airlines Flight 175, American Airlines Flight 77, and United Airlines Flight 93, the FBI announced the names of the 19 people they declared were the hijackers involved. And the head of the department was a guy who is in the news all these years later … for another reason. 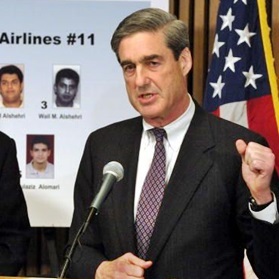 Robert Mueller – who had been FBI Director for only a week before the attacks – said he had “a fairly high level of confidence” that the FBI knew the names of the hijackers The suspects were, according to FBI statements, quickly identified because few made any attempt to disguise their names on flight and credit card records. They were also among the few non-U.S. citizens and nearly the only passengers with Arabic names on their flights, enabling the FBI to identify them using such details as dates of birth, known or possible residences, visa status, and specific identification of the suspected pilots. 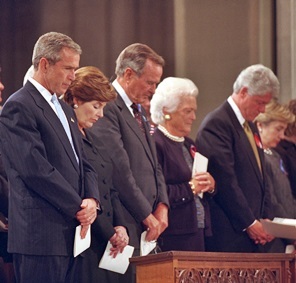 2001 – A National Prayer Service held at Washington National Cathedral for victims of the September 11 attacks was led by Rev. Billy Graham, with President George W. Bush and past and present top officials in attendance. A memorial service was held on Parliament Hill in Ottawa, which Canadian Prime Minister Jean Chrétien presided over. More than 100,000 people attended. In fact, church and memorial services were held throughout the world. They include a special service held in London, which was attended by Queen Elizabeth and 1,500 mourners. A three-minute silence at noon was observed throughout Europe. The Star-Spangled Banner was sung in front of the Brandenburg Gate in Berlin and at mass gatherings in Edinburgh and Paris. National days of mourning were observed in Ireland and South Korea. 2001 – President George Bush stood at Ground Zero where the ruins of the twin towers of the World Trade Center were still smoldering. 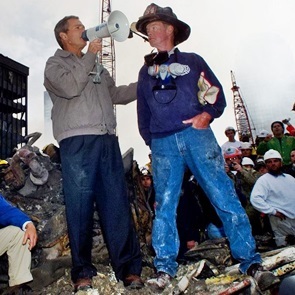 As he conducted his tour, Bush suddenly climbed on top of the remnants of a burned fire truck and put his arm around firefighter Bob Beckwith. The president grabbed a bullhorn and started thanking the firefighters and other first responders at the scene, telling them that they were in the country’s prayers. 2009 – Actor Patrick Swayze died of pancreatic cancer at the age of 57. 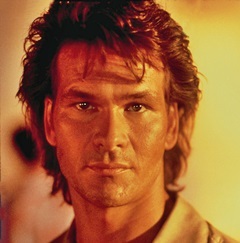 Swayze starred in Dirty Dancing, Ghost, Road House, To Wong Foo, Thanks for Everything! Julie Newmar, North And South, and many others. 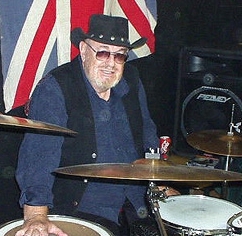 2009 – Bobby Graham (British session drummer) died of cancer at the age of 69. ‘You Really Got Me’ and ‘All Day And All Of The Night’ (Kinks), ‘We Gotta Get Out Of This Place’ (Animals), ‘Here Comes The Night’ (Them), ‘Glad All Over’, ‘Any Way You Want It’ and ‘Can’t You See That She’s Mine’ (Dave Clark Five), ‘Can’t You Hear My Heartbeat’ (Herman’s Hermits), ‘You’ve Got Your Troubles’ (Fortunes) and ‘Tobacco Road’ (Nashville Teens).